Gather a group of your best friends, round up the entire extended family, or take the whole office on an exotic Bali holiday at Sanur Residence, a 9-bedroom luxury property just steps from Padang Galak Beach. 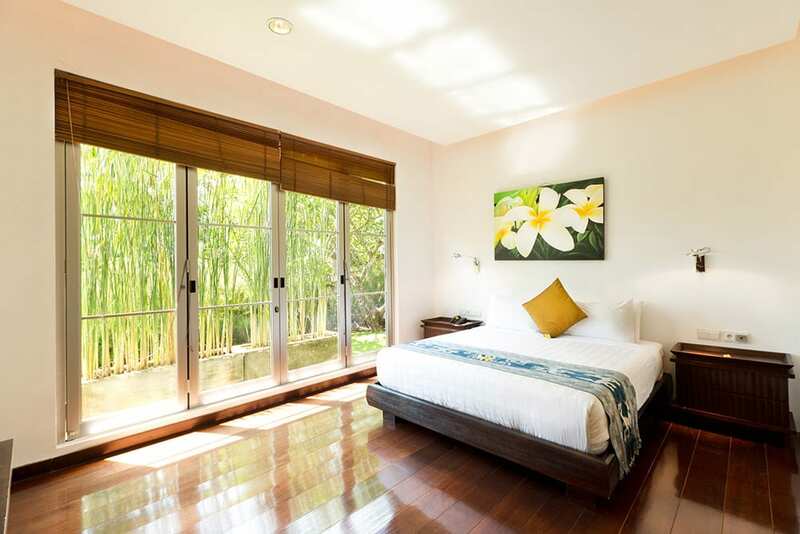 Set amid terraced lawns surrounded by rice paddies and corn fields, the property features 3 two-storey villas, each with their own indoor and outdoor living areas and extra features like a conference room, media room and yoga and meditation area. If you’re planning a wedding, retreat, or a party getaway, this is your spot. 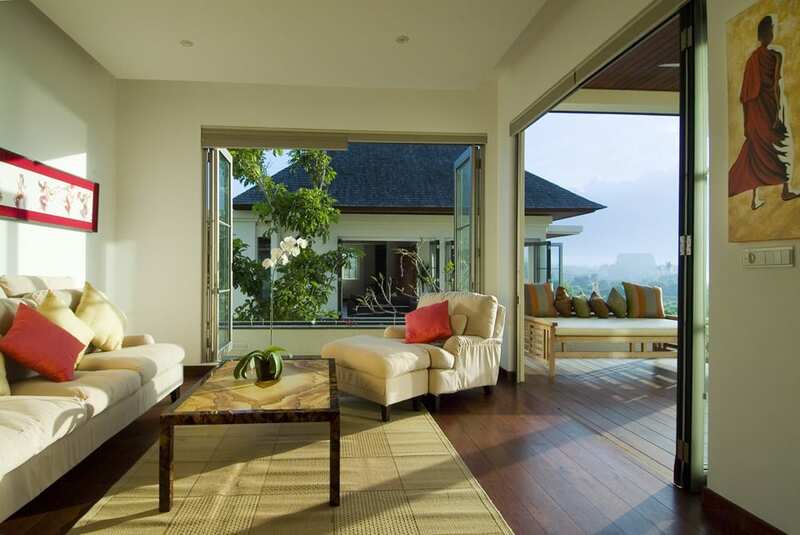 Modern tropical architecture characterises the villas at Sanur Residence, where clean whitewashed walls are topped by ironwood roofs, large windows let sunlight in and offer views of the gardens and ocean, and timber decks make for the perfect spots to watch the sun rise over the water and the limestone cliffs of Nusa Penida in the distance. Start your day with some yoga on the black sand beach before heading back to your villa for a delicious gourmet breakfast. Relax on a sun lounger with a cool drink and get in some laps in the 23-metre infinity pool, or catch up on some reading in a daybed on your breezy balcony. Afternoons can be spent exploring the coastline and meeting up for sundowner drinks next to the pool, while evenings are all about decadent meals, movies and music. The ground floor of Villa One impresses with a spacious living room with black granite floors, comfortable sofas, a flat screen TV and DVD player, and a dining table with six green leather chairs. There is also a sitting room overlooking the garden and a conference room in the basement that still has views to the garden thanks to the tiered lawns. 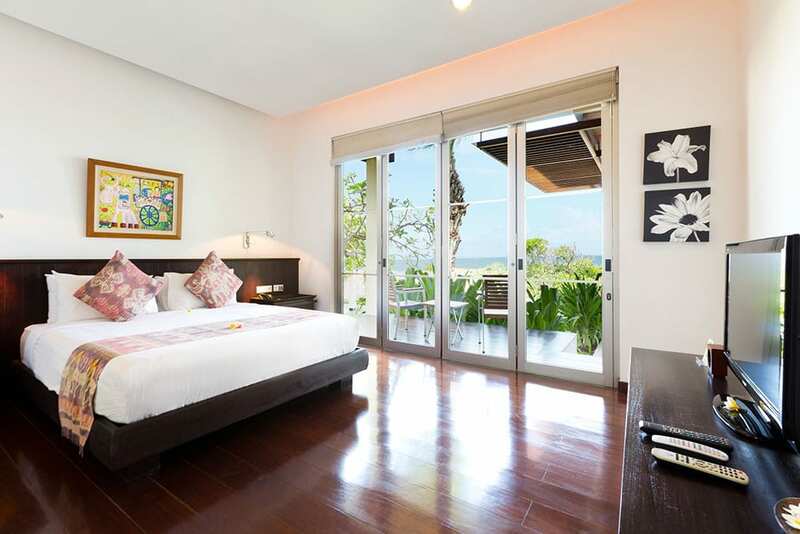 The master bedroom in Villa One is on the ground floor and it has a king-sized bed, flat screen TV, wooden deck with ocean views, and a marble ensuite bathroom with a Jacuzzi and rain shower. Upstairs you will find two guest suites with balconies, ensuite bathrooms with rain showers and a separate room with a shared Jacuzzi tub. 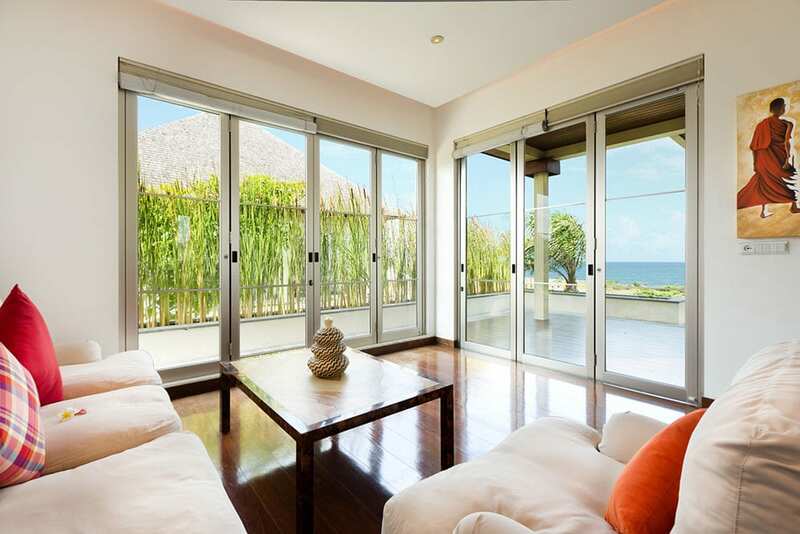 Villa Two has a split-level living area with a gorgeous yoga and meditation area, sunken lounge with a TV and DVD player, eight-seater coconut shell dining table, and sliding doors that lead out to the terrace. On the lower floor there are two guest suites with king beds, entertainment systems, doors that lead out to the deck and garden, and a shared bathroom. The master bedroom in Villa Two takes up the entire top floor, and it features a king-sized bed, writing desk, sitting area with a sofa and TV, and a ensuite marble bathroom with a Jacuzzi. This luxurious suite also has a wooden deck looking out to sea with steps leading down to a stone terrace overlooking the pool. 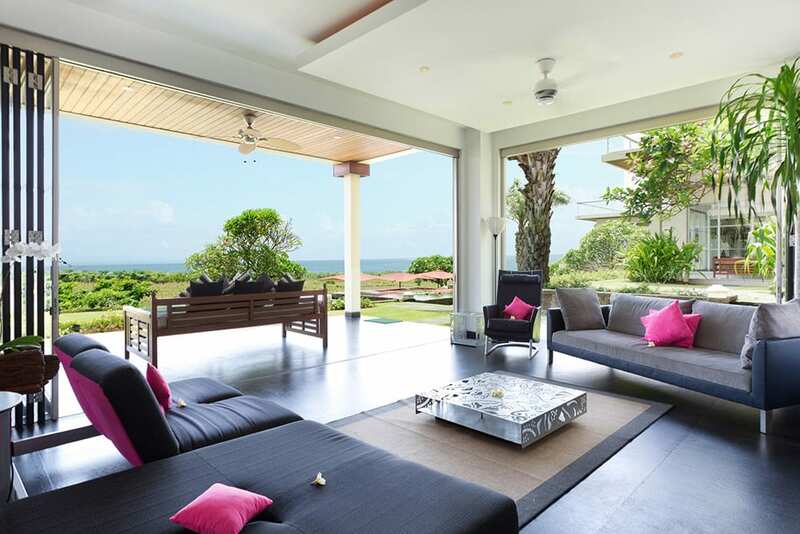 Villa Three boasts a bright and airy open-plan living room, as well as an air-conditioned media room with a Bose home theatre system, 60-inch flat screen satellite TV, sofas, beanbags and built-in shelves for the DVD and music library. The elegant master bedroom in Villa Three has its own sitting area and a dining table for four, as well as a king bed and an ensuite marble bathroom with a rain shower and Jacuzzi bath. Guest bedrooms two and three are split level and offer either twin beds or a queen bed. Both have marble ensuite bathrooms and a shared Jacuzzi. The gardens at Sanur Residence are simply sublime with rolling green lawns, two reflection ponds with waterfalls flanking the stairs that lead to the 23-metre pool, an open-sided relaxation bale perfect for massages amid sea breezes, and a path through the corn fields that leads to a sand volleyball court and a huge wooden deck hovering over the black sand beach. CAPACITY 18-22 people (9 bedrooms: 1 king, 5 queen, 2 twins convertible to kings, 1 twin). 4 extra beds available (additional charge). LIVING AREAS 3 living/dining rooms and kitchens (1 per villa), rooftop terrace in each villa, media room in villa 3, indoor dining for either 6 or 8, large dining/meeting room in villa 1, relaxation balé in gardens. POOL 23 x 6 metres (freeform). STAFF Villa manager, private chef, cook, housekeepers, butlers, security, maintenance, pool and garden staff. Additional staff (babysitters, masseuses) available on extra charge. DINING Western, Chinese, Asian, vegetarian and children’s dishes. Requests accommodated (including special diets). COMMUNICATION Complimentary Wi-Fi internet access, local and international calls (extra charge), mobile phone coverage. ENTERTAINMENT Satellite TV in media room and all bedrooms, DVD player, Bose surround-sound system in media room, CD player, iPod dock in villa 2 living room. 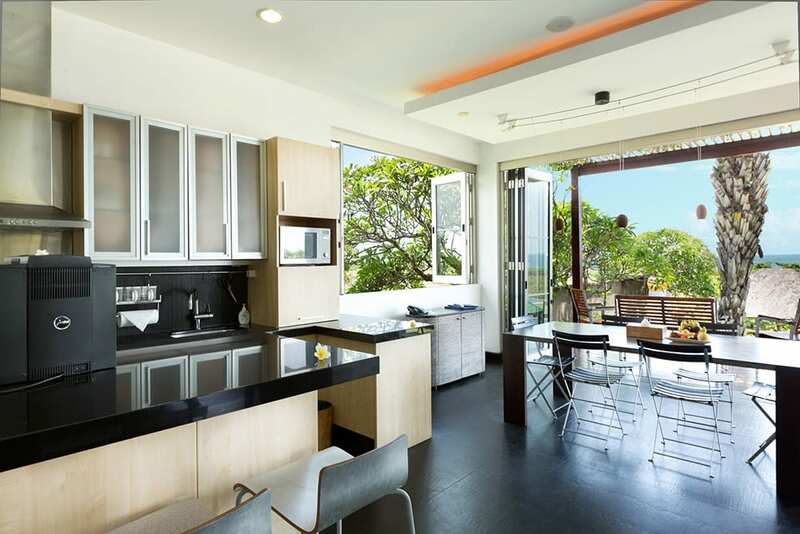 FOR FAMILIES Sanur Residences is well equipped for families. Facilities include: baby cot; high chairs and children’s DVDs. TRANSPORT A car and driver may be arranged at extra charge. EVENTS Events for up to 80 people (seated) or 100 (standing) can be arranged at the villa with prior notice. PROPERTY AREA 440 sqm (each villa). 2,500 sqm (land). Having stayed in many Villas in Bali and Thailand, this has to rank among the top 3 and it was the team of staff who makes the big difference. The best I have encountered in Bali in fact. They served with heart and because of them, the villa was kept in tip top condition. The staff surprised us with many different and even though some tiny gestures but all done to make you feel special and very welcome and they were always helpful and put your needs in foremost. Chef Ayu and her team prepared delicious food which is comparable to the many great restaurants in Bali, a pity that we did not have too many meals in villa as we were going out quite a bit. There was also no mosquitoes in sight which was a great surprise in Bali as all the Villas which we have stayed in could not totally solved this problem. Special shout out to the team of butlers who were all impressive, the gardener/pool team did a great job which was very obvious throughout our stay, 24 hours security team, housekeeping team and the Chef/Cook and team. Thank you for making our holiday an unforgettable one. 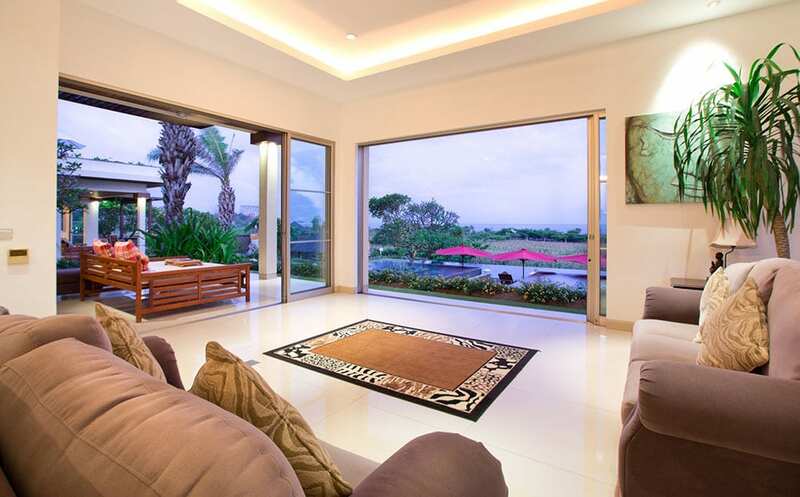 If you are travelling in group (12-20) and looking for a big villa with a big enough pool, ocean view, walking distance to beach and don't mind being 40-60mins by car away from Seminyak or Kuta or Ubud, you have to book this villa. Staff were amazing, venue was superb, whole experience was welcoming, friendly and incredibly relaxing. From the very first moment you arrive, the incredible staff make you feel at home, they are so friendly, nothing is too much trouble. 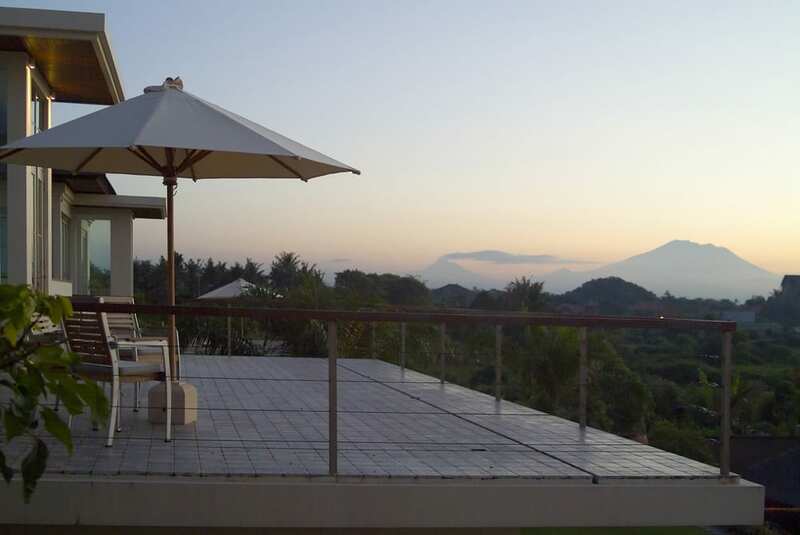 The villas are beautiful, you are away from the hustle and bustle, with lovely views to the beach. I would come back again in a heartbeat! Pure serenity, the ideal home away from home! On arriving at the residence, we were greeted with helpful, friendly staff who couldn't do enough to assist us with our luggage and children. We had gorgeous drinks served to us within minutes of arriving without prompting. The 3 houses are beautiful, clean and well maintained. We had all meals at the residence and the staff were able to meet all of our requests (we had a group of 20) with ease and never without a smile. The residence was also the location of a family members wedding reception and you couldn't have wished for a more beautiful location. I would return to this location in a heartbeat and would not hesitate to recommend to others. It is fantastic spot for kids and adults of all ages! It was truly amazing to stay here with 37 friends and family. We had a blast for my 50th. I can't praise the staff enough, i realise it has taken me this long to put this review but I couldn't get the words right to describe it, I still can't really do it justice. We have been to hotels where you can't swim after 10pm and in some other villas told to be quiet. Not this place. we could hang by the pool 24/7 play music as loud as you wanted and only bothered the cows in the paddock a couple hundred meters away. Get a group together and just go there. Ngurah and his staff will make your stay there so good that you'll never want to come home ever again. Simply luxury and space to party or just hang out by the pool. 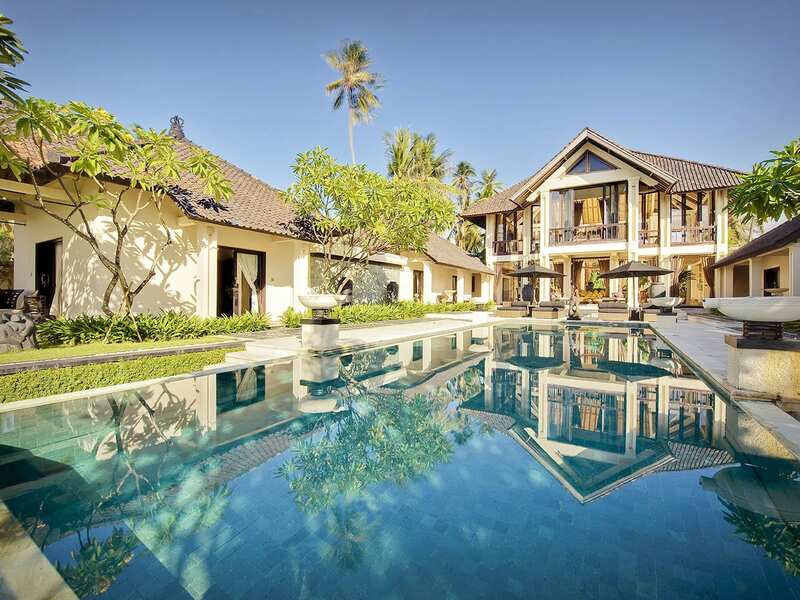 Bayu Gita Residence is an elegant 3-bedroom luxury villa set in a private walled garden just less than 100 metres from the beach in Sanur-Ketwel. The villa is secluded, serene and spacious, making it an ideal escape for couples, friends & families. 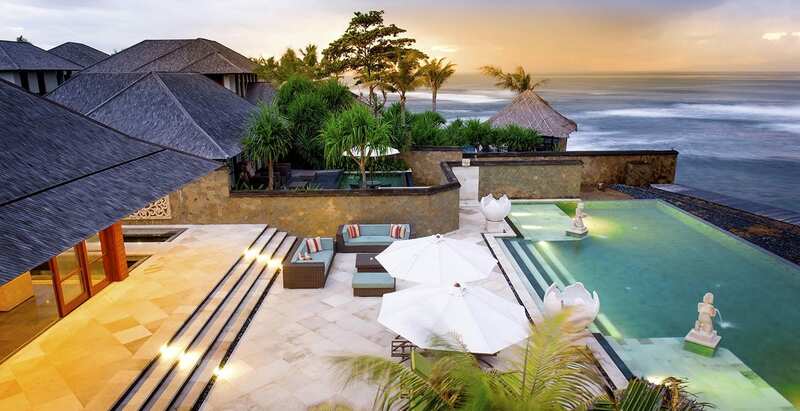 Nestled on the edge of an unspoiled beach in the village of Saba on Bali’s southeastern coast, The Ylang Ylang is an impressive 6-bedroom private Bali villa offering elegant grandeur, sweeping ocean views and ultra-luxe facilities. 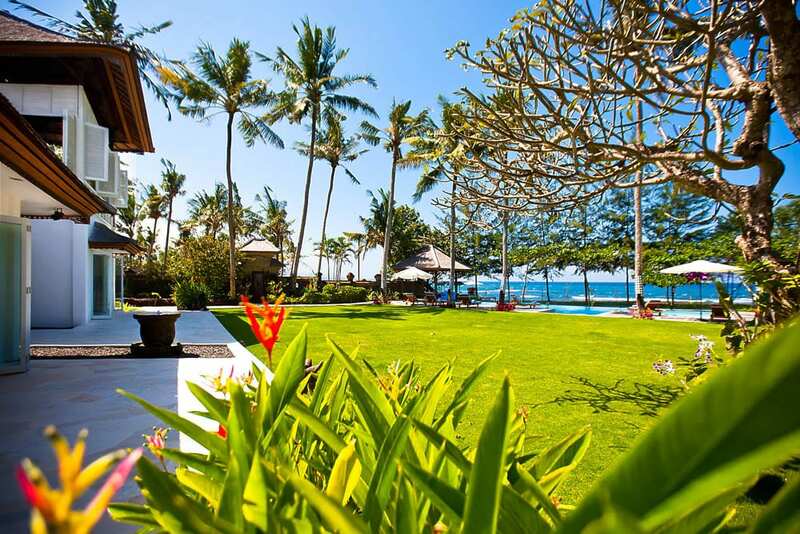 Villa Puri Nirwana is a beautifully designed colonial-style beachfront villa set in beautiful landscaped gardens between Sanur and Candidasa. 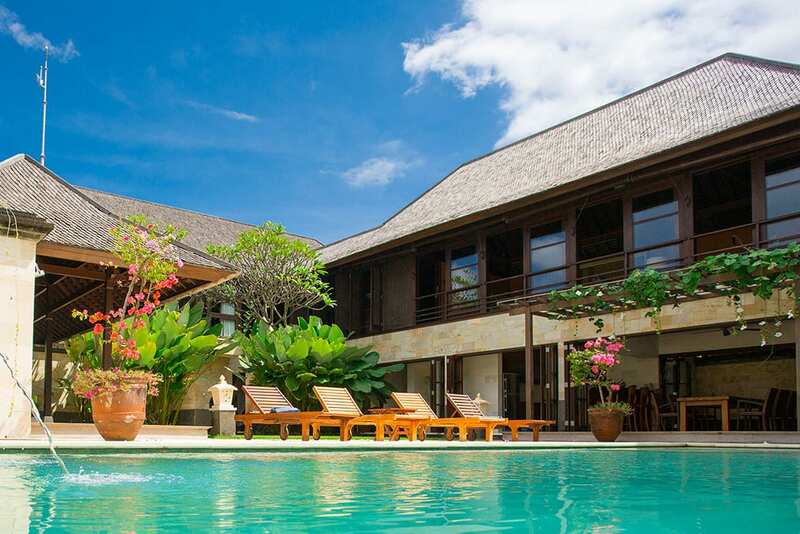 This 6-bedroom villa is a holiday destination that offers guests a chance to rediscover Bali. It’s hard to top Bayu Gita Beachfront, a spectacular 6-bedroom property overlooking the cobalt waters of the Badung Strait. 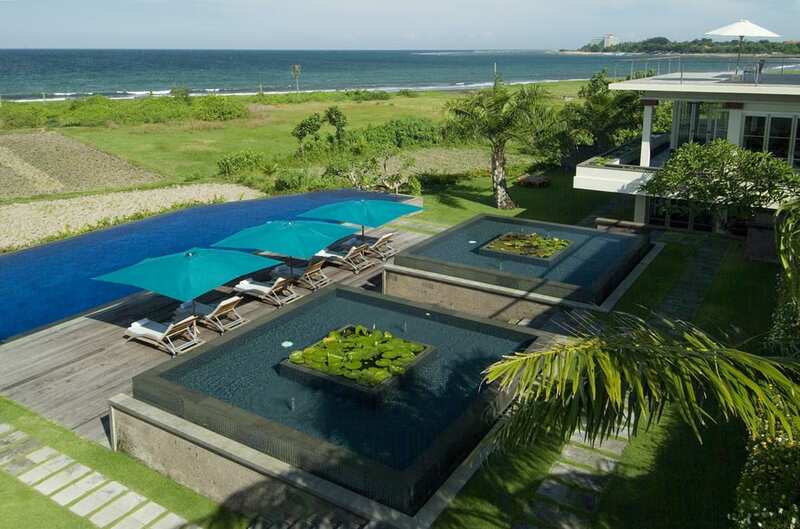 If it’s seclusion, space & stateliness you’re looking for on your holiday to Bali, you can’t go wrong with this opulent villa.